There are so many CPA review courses out there that give you the information that is covered on the CPA exam, but none of them tell you how to use this information or how to learn it. Some of them simply give you a 500 page book and say “know this.” None of them actually show you how to learn the information, how to take the exam, or even strategies that will gain you a few points without putting in any more study time. That is why I am creating 6 Month CPA. It’s a premium course that actually shows you how to study, how to go through a review course the most efficient way possible, and how ultimately how to pass the CPA exam in six months. This isn’t some crazy course full of hype. It’s full of the methods that I developed while studying that helped me pass all four sections on my first try. It covers memory techniques, necessary and unnecessary information, multiple choice hacks, and how to dominate the simulations. It’s literally all in one course. Unfortunately, I am still working on it, so it’s not available yet. It will be soon though. If you want me to notify you when it’s ready, enter your email below and I will email you when it’s finished. 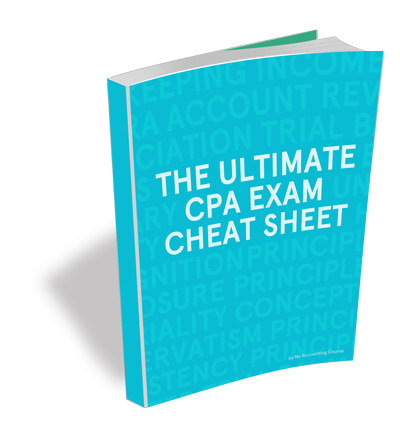 I will also email you my CPA exam cheat sheet with a few basic study tips!